I will arrive late or early to the workshop. What should I do? If you must arrive after 3:30 p.m., please e-mail us at journalismcamp@ku.edu to let us know when to expect you. Then, go to the main desk of our residence hall to check in. 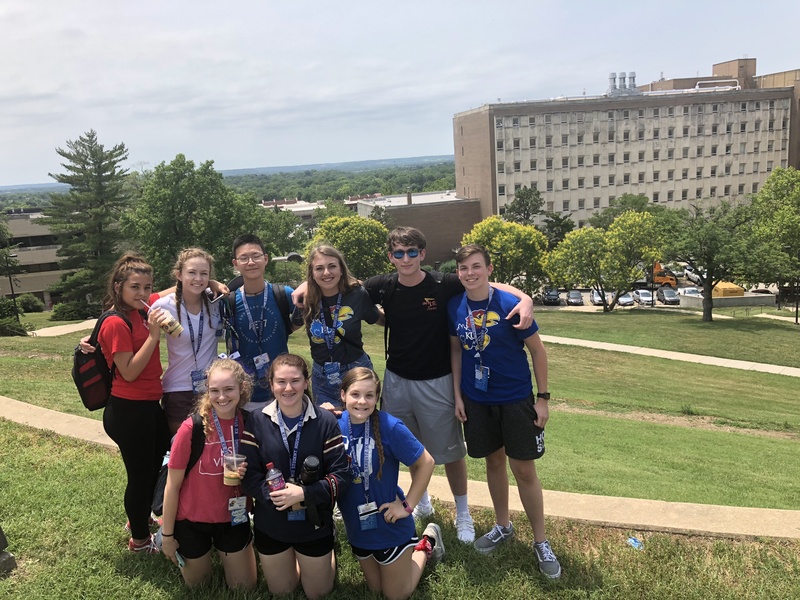 Students who plan to arrive at the workshop prior to Sunday, June 9, should contact the workshop director at journalismcamp@ku.edu to make arrangements for lodging Saturday night. There will be an additional charge per night for lodging. The workshop ends at 10:30 a.m. on June 13. Following the final meeting, students must check out by 11 a.m. (return room key, etc.) at the residence hall. If you must leave camp for any reason prior to this check-out time, please let us know when you will be leaving and who will be picking you up. The student must also bring a letter from his or her parent or guardian detailing when the student will be picked up and by whom. Please give this letter to the workshop director at registration. Someone (perhaps a relative) wants to visit during JMW. Is this OK? I need to leave JMW for another commitment. Is that OK? 3. please note on the bottom or the form which evening and/or morning you will be commuting to/from campus. Someone other than my parent will pick me up. Do I need permission? Please bring a letter from your parents that states your name and the name of the person(s) authorized to pick you up. What if I would like to be a “commuter” student? Please read this release form that all students must complete with a guardian to be considered a commuting student for the camp. Also, be sure to register as a commuting student. Do I have to walk to sessions? We have changed the location of our residence hall for the summer workshop to involve less walking up and down the notorious “hill.” However, campus bus service is available to transport students who do not want to walk the hill for sessions. The cost is free. Buses run regular routes on the campus. However, bus schedules do not run according to the workshop schedule. We strongly encourage students to walk to classes, so they will arrive on time and avoid getting lost. Are parents allowed to attend the awards ceremony? Of course! We welcome parents at the awards ceremony at 9:30 a.m. on June 13. It is in Wescoe Hall. Afterward, we will take group photos. Be aware that parking is limited on and around campus, so arrive early and expect to hunt for a space and walk to the ceremony. What if I get sick or hurt at camp? 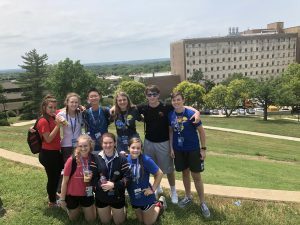 Students requiring medical assistance will be taken to Watkins Health Center on the KU campus between the hours of 8 a.m. and 4:30 p.m. Students who become ill outside of those hours will be taken by an adult of the workshop staff to Lawrence Memorial Hospital after contacting the student’s parent or guardian.